Let’s face it, accidents happen. Car owners involved in accidents need experienced collision repair technicians to restore their vehicles to look and drive like new again. Automotive Training Center’s Collision Reconditioning Technology Program features a comprehensive study of vehicle repair, preparing students with the training and experience they need to qualify for entry-level opportunities in the field. With more vehicles on the road than ever before, the demand for talented collision repair technicians is higher than it’s ever been. 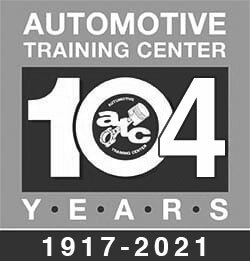 ATC Collision Reconditioning Technology students will learn first-hand from ASE and I-CAR certified instructors and have numerous opportunities to be involved with actual repairs on live vehicles in our modern shop facilities. What will I learn in Collision Reconditioning Technology? 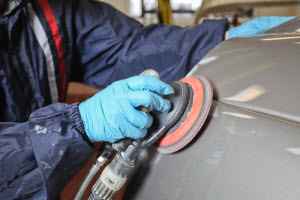 Why is it called Collision Reconditioning Technology? In addition to there being more cars on the road, the cars being made today are becoming more advanced and connected. This applies to things like engine technology, safety response systems, driver assistance technology, and even new materials being used to construct a vehicle’s body. Technology has also optimized and improved the way today’s collision center professionals diagnose and repair vehicles. Working with equipment like laser frame measuring and a Chief E-Z Liner frame straightening bench on a daily basis, technology is more integrated into this role, which is why it’s also made its way into our training program’s title. I’d like to know more about what skills make a successful collision repair technician. Any pointers? A collision repair technician’s day to day duties vary greatly. No day or job is exactly the same. While this may be seen as a challenge to some, it makes the work that’s done all the more rewarding. To shine on this schedule, a strong attention to detail, commitment to time management, and in-depth mechanical knowledge are key. 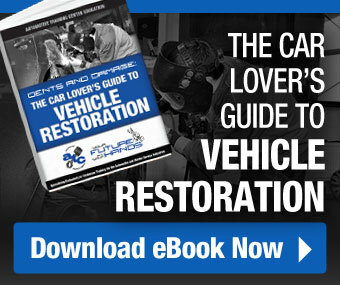 Download our free eBook that covers a day in the life of a collision repair technician to learn more about how professionals in the field employ these skills. How do I learn more about pursuing CRT training? If you’re ready to take the next step with your automotive education, ATC is standing by! 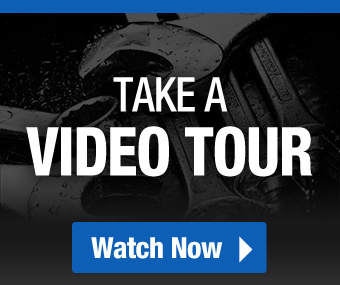 Learn more about our automotive repair school with campuses in Exton and Warminster, PA, by scheduling a campus tour today.